The 5608 comes with a one-eighth inch (3.18 mm) diameter sheath in lengths of 9 inches or 12 inches. The 5609 comes with a one-quarter inch (6.35 mm) diameter sheath in lengths of 12 inches, 15 inches, and 20 inches; or with a 6 mm diameter in lengths of 300 mm, 400 mm, or 500 mm. When looking for improved response time and reduced stem effect in shallow immersion, look for small diameter probes, because the measurement error called stem effect is caused by the diameter of the stem rather than the length of the stem. 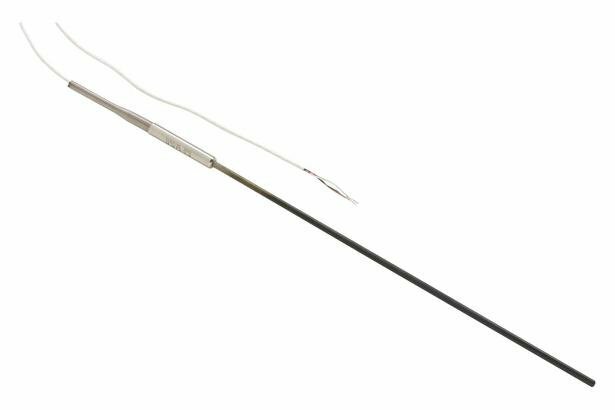 Both of these probes have Inconel™ sheaths and are made using a special manufacturing process, giving them great precision over a wide temperature range. 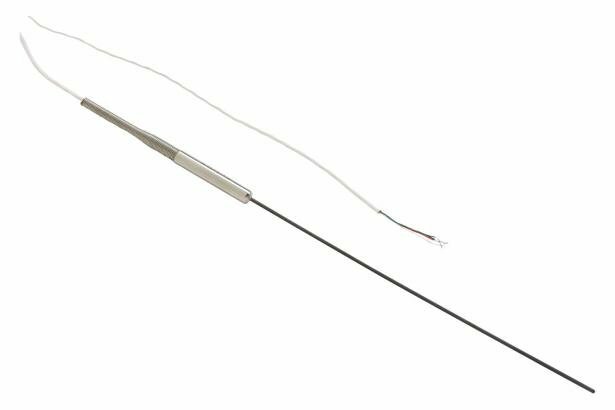 The sensors for these probes are reference-grade platinum and feature four-wire connections with less noisy measurements than two-wire counterparts. As standard, each probe includes its resistance value at the triple point of water. If calibration is desired, you can order a NVLAP-accredited calibration from our laboratory; lab code 200348-0. On the report of calibration, you’ll get the test data and the ITS90 calibration coefficients that you can easily input into any Fluke Calibration thermometer. If you order your probe with an smart connector, we’ll program the coefficients directly into your connector, which loads the coefficients for you when you plug it into our 1524 Handheld Thermometer. Calibration not included; NVLAP-accredited calibration optional, lab code 200348-0. Please see calibration uncertainty table and its explanation of changeable uncertainties.